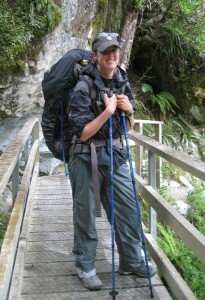 All geared up for wet weather on the Routeburn Track in Fiordland, NZ. Hi, I’m Kristin and I’m one of the clumsiest people you’ll ever meet…yet I keep travelling the world in search of my next adventure. This blog is where I can show you the world through my eyes (and my camera lens) and show you that, even for the most uncoordinated of people, adventure travel is still possible. Both of these things have been constants on my travels through the years. The backpack has changed slightly–gradually morphing from a huge backpacker’s backpack to a hybrid bag to a heavier-than-everything-else camera backpack–and I may not wear the boots quite as much as I used to, but they’re always there in case a hike into the backcountry just happens to present itself. To me, they symbolise the type of travel I live for. Despite the fact that I am a software engineer by day (or perhaps because of this), my favourite place to be is the outdoors. I hate being cooped up inside over the weekend when I could be out hiking, kayaking, or the like. The city I grew up in — Houston, TX — didn’t exactly offer outdoor opportunities in spades, so it didn’t really surprise anyone when I graduated from university and immediately moved away. Rather than moving across the country, though, I took it a bit further and moved to Australia. A few years on and I’m now a dual citizen who still calls Australia home — although I will hurt you if you get anywhere near me with Vegemite. I’ve been told I’m not a true Aussie because of this, but seriously…what is appetising about eating the dregs out of a beer vat? How could I not want to live somewhere that has landscapes like this? So why Australia? Well, it seemed like an adventure, and it was fulfilling a lifelong goal. When I was about 11, I declared to my mother that I would move to Australia one day after seeing a montage of the country before one of Pat Rafter’s matches. She told me I had to graduate from university first. See Mom, I do listen to you! Australia also has pretty good health care — something I seem to need access to more than I’d like, given my general inability to stay on my feet. You would think that my thirst for adventure would be the cause of my clumsiness, and that surely it was in the course of jumping off of the edge of a canyon that I’ve hurt myself in the past. 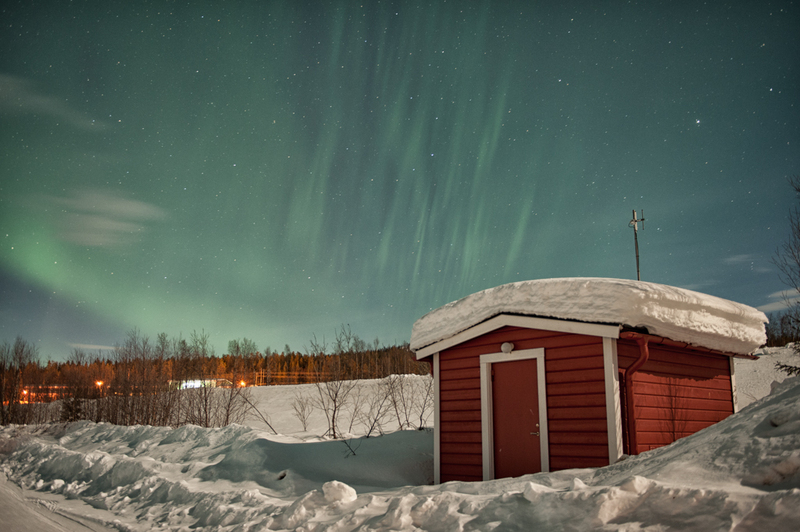 Absolutely gorgeous Swedish Lapland with the added bonus of the northern lights. The first time I visited proved that I can’t catch a bus without hurting myself. Oh no. I am actually one of the clumsiest people you’ll ever meet…when I’m doing everyday activities. How did I break my leg? I was chasing after a bus in Swedish Lapland. How did I end up in hospital in England? I fell into a parked car. Did alcohol have anything to do with this? No. At least this has made me into a bit of an expert on travel mishaps and on health insurance in various countries…and once the pain goes away it makes for a good story! I was the kid that was described as “motormouth” by family and teachers. I always had a story to tell and loved being able to make people smile when I told them. It made sense that I began writing down these stories, and I actually started writing my first novel in 3rd grade. Looking back, it was oh so bad — but it gave me yet another, slightly more permanent, outlet for my stories. 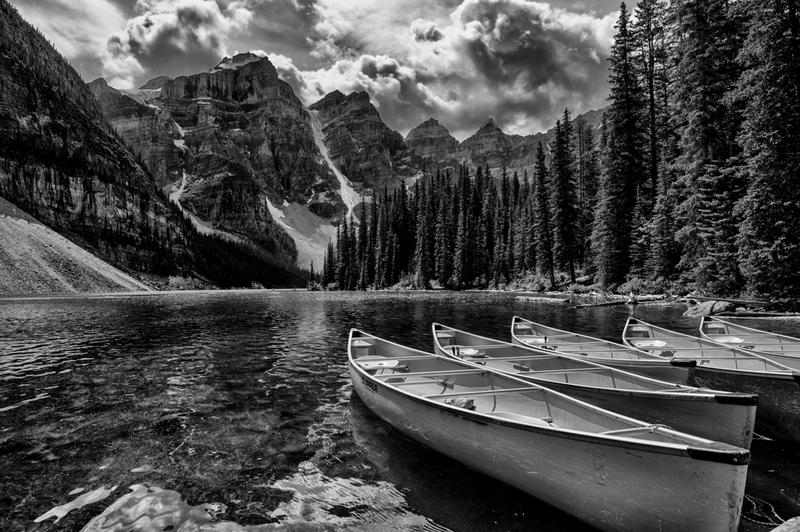 I think this shot of Moraine Lake tells the story of what it was like being there — and in Banff and Jasper in general — as a summer storm rolls in. This is also why I’ve been drawn to photography. I love being able to tell stories with the power and beauty of natural landscapes and far-flung locales, and I love that, after many years of practice, I feel like I can truly portray a location in the best light possible through my lens — even if there’s no light around at all, which is often the case when I’m shooting night landscapes! I find it incredibly peaceful and relaxing to be outside in the dead of the night listening to the roar of the ocean as I shoot seascapes. I come from a long line of expats — my grandparents moved to Brazil for 7 years after WWII and my mom moved from England to America after graduating uni. *Knock on wood* but I’ve never managed be at fault for missing a flight. Who knows how I’ve managed all those early wake-up calls! I’d probably be shown the door here in Oz if I told many people that my favourite country is actually the couple islands just across the Tasman Sea. 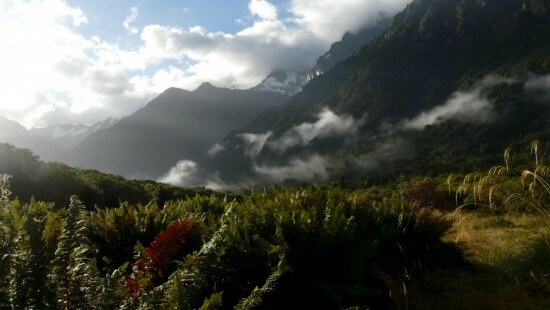 New Zealand is an absolute playground for nature-lovers, and I spent nearly three weeks hiking through rainforest, along beaches, and over mountain passes. 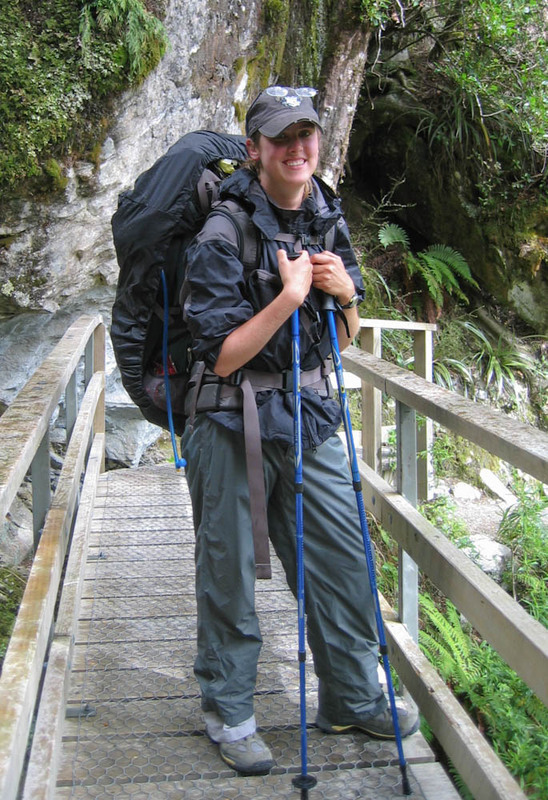 While it was sometimes painful (hello 20kg backpack on the Abel Tasman Track), these tracks were some of the best memories of my trip. Early morning on the Copland Track on New Zealand’s West Coast. Who wouldn’t want to wake up to this? If I’d had time to take Latin at university I would have had a dual degree in computer science and medieval studies. How awesome would that have been? I will never, ever be finished with processing all of my photos. Or probably even half of them. I love traveling solo. So many people have asked me if I get bored or if I feel safe. The answers to those are no and yes. The countries I want to visit most? Mongolia, Iceland, and Peru. I’m allergic to peanuts, and I’ve never had a major incident while traveling despite numerous times where I’ve forgotten to do important things like write down how to spell peanuts in Japanese. 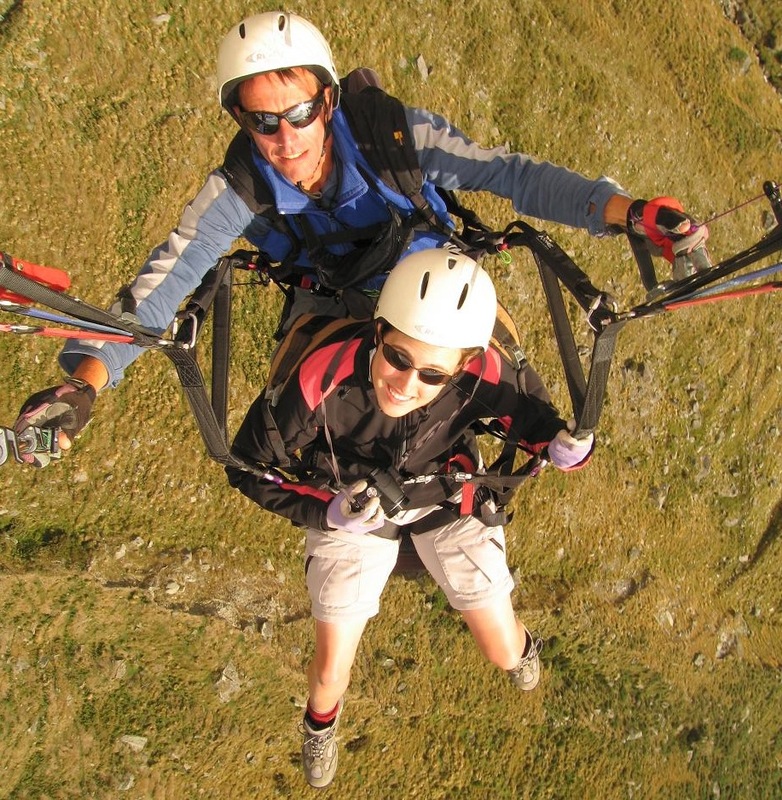 Paragliding high above Treble Cone in Wanaka, NZ. I am a usta menber;love to play. I liked you story on roland garros tennis trek. thank you for the photos and the lovely article. Don! !